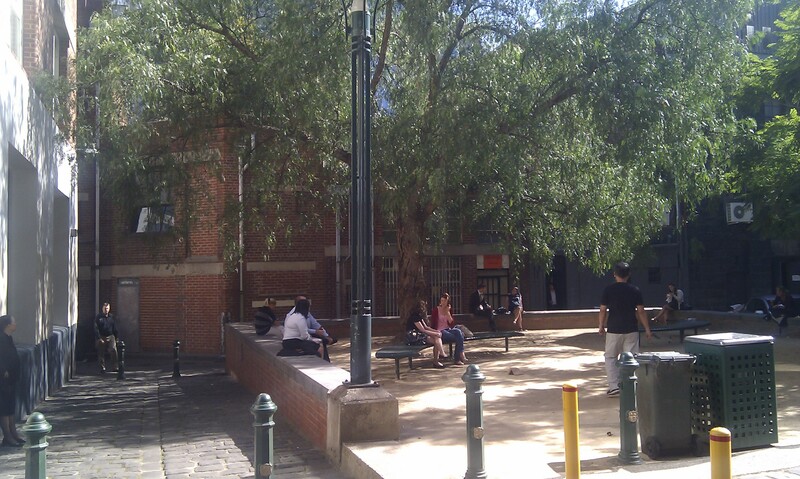 One of the few fully enclosed ‘pocket parks’ in Melbourne, this park is frequented by lunchgoers and people just taking a break. Years ago the Council set up a boules pitch or ‘piste’ for the french version of lawn bowls known as Pétanque. This involved laying down very fine golden gravel and installing new seating. In a blaze of publicity, the Mayor played the first and probably only round. The cobble stones are the original laneway stones but the hitching posts and the lamp came with the piste. Looking back from the windows, the space is often described with an ‘oh wow’ when people come in. It is true, the work thing just seems to happen here with little interruption to intense creativity. 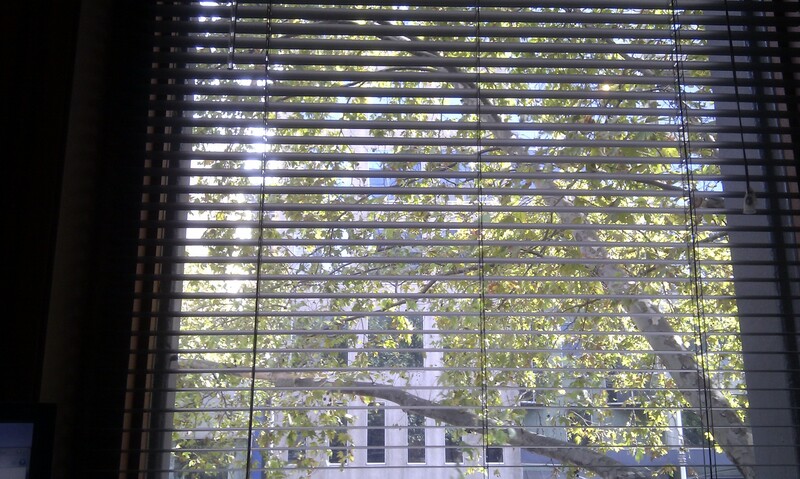 Looking out at the sun glowing on the leaves of the plane tree. Remarkably quiet here even though over 40,000 cars go by every day. Thick tinted plate glass does the trick.